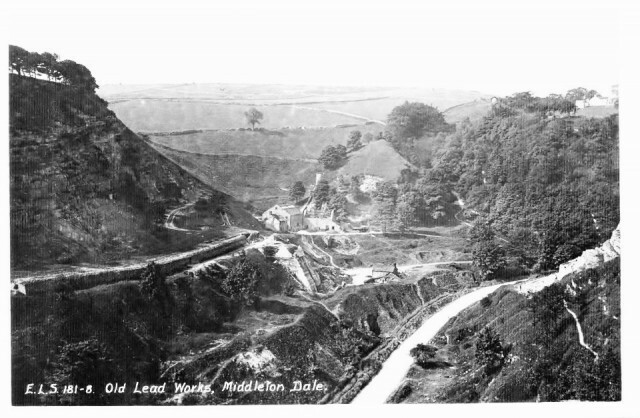 The picture title states that it is a lead working in Middleton Dale. The location is not certain but considering the contour of the land it is thought to be where Furness quarry (now known as Horse Shoe Quarry) was later located, which is a few hundred yards past the turning for Eyam heading towards Tideswell. There are a number of constructions thought to be lead smelters, the one with a tall chimney appears to be a cupola.